The TOEFL course provides bi-weekly practice tests given to make you comfortable with the exam and TOEFL iBT procedure. 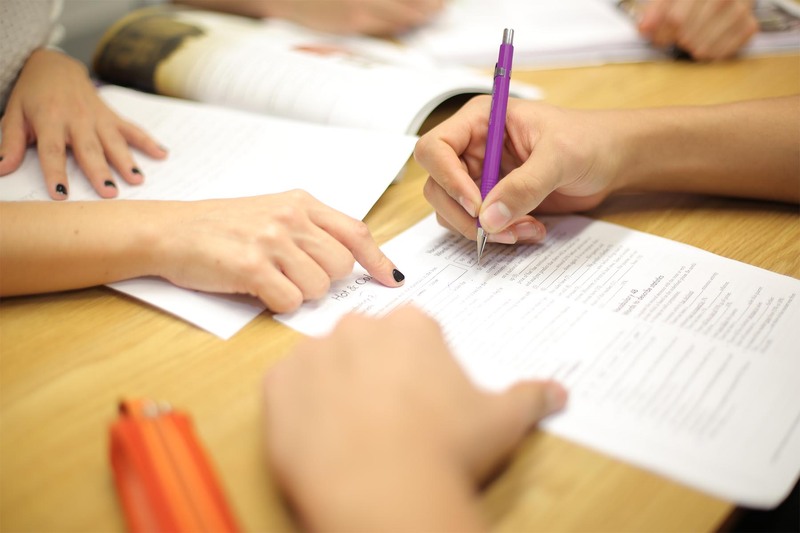 Our experienced TOEFL teachers review your test and give you personalized feedback. At VGC you will not only use the TOEFL Preparation course as a tool to achieve the exam score you need, but you will build the academic language and skills for your success in business or university. The TOEFL course provides bi-weekly practice tests given to make you comfortable with the exam and TOEFL iBT procedure. Our experienced TOEFL teachers review your test and give you personalized feedback. We have structured TOEFL Preparation classes so you will feel confident that you are ready to achieve the desired exam score. have improved your English speaking and writing skills through personalized feedback. have encountered our structured curriculum and customized materials, which are designed for your individual strengths and weaknesses. have received the academic English skills and knowledge that will best prepare you for the challenges of business or university. During your TOEFL course, you will have access to our computer lab designed to simulate real TOEFL iBT test conditions. A highly experienced TOEFL teacher with extensive knowledge of the exam and the English language. Individualized advice to help you succeed. Each TOEFL course is 16 weeks in length.